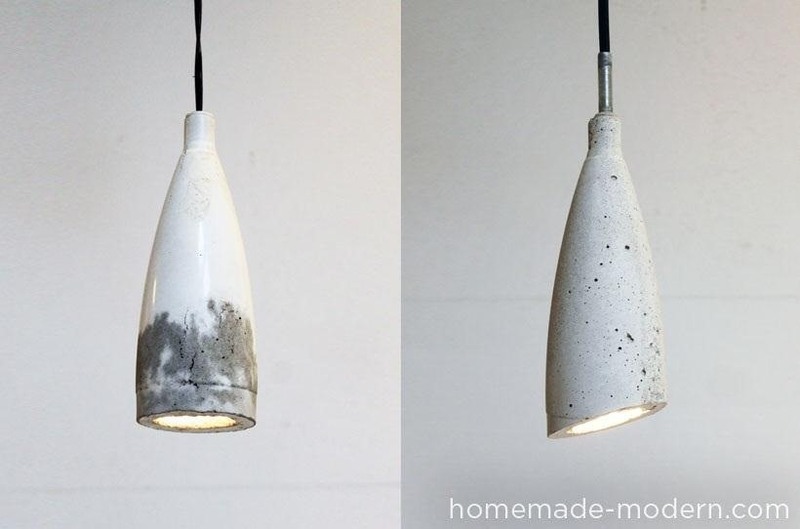 If you can think of a piece of junk, someone has probably found a way to turn it into a lamp. Granted, sometimes the result is more functional than beautiful, but DIY lighting is probably one of the most versatile projects you can take on. From string to a can of tuna, the list of possible materials is pretty much endless, but most of them end up looking more like an art project than home decor. 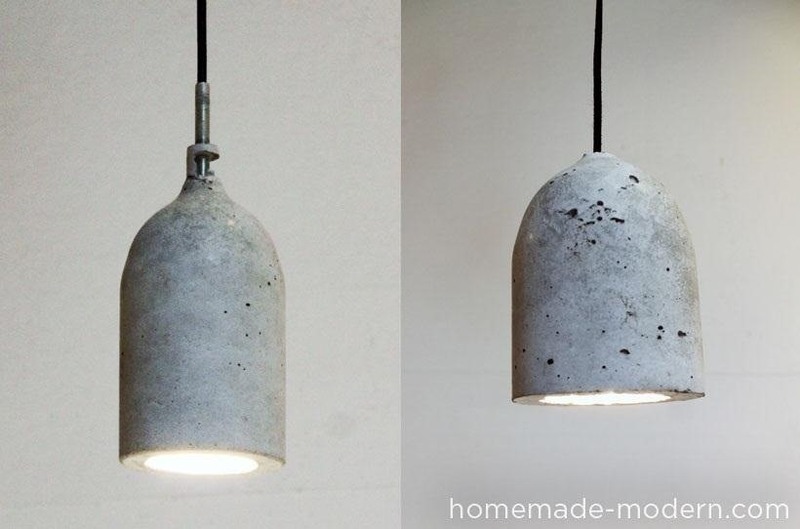 Combining the best of both worlds, Ben Uyeda over on HomeMade Modern used a few super cheap materials to make these sleek looking concrete pendant lamps. 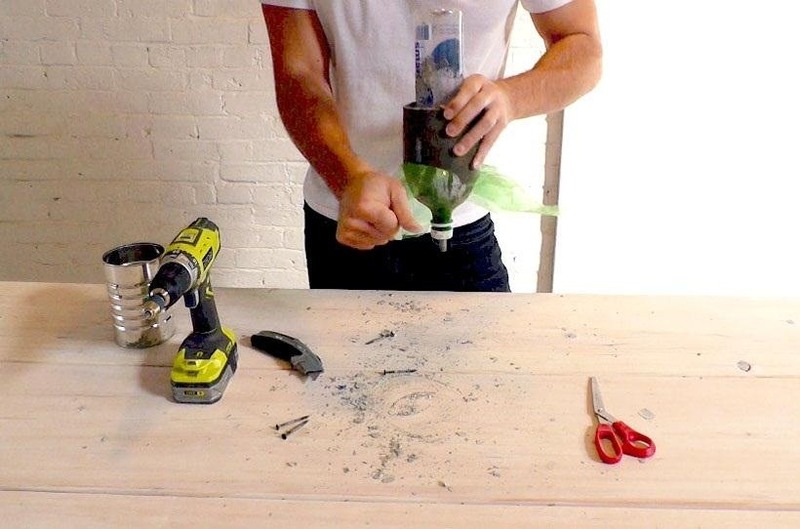 The supplies are really simple—fast-setting concrete, basic electrical components (socket, switch and cord), two plastic bottles, and a threaded tube. After cutting the bottom off the plastic bottle, Ben drilled a hole in the cap for the tube to go through. He screwed the tube through both caps, using nuts to hold it in place, then put both caps back on. 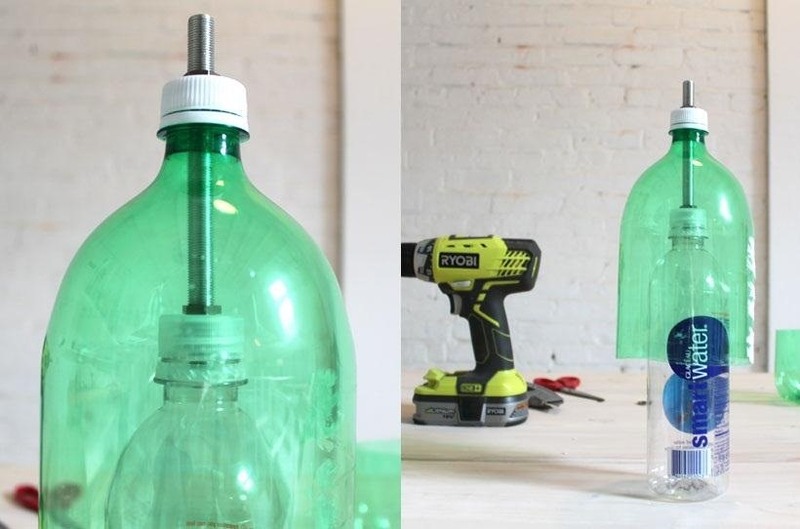 Next, he used two screws to hold the bottles in place, then filled the mold with concrete. Once it set, he used a box cutter to remove the plastic bottles and sanded the concrete down so it was smooth. Finally, he wired the lamps and covered the exposed metal with electrical tape. Check out the video to see the process step by step. If you're going to try this out, experiment with different bottle shapes to get the look you want (and post pics of your results below!). For more details and photos, be sure to take a look at the full tutorial over on HomeMade Modern.